Any bunch of gretchins needs a Slaver. 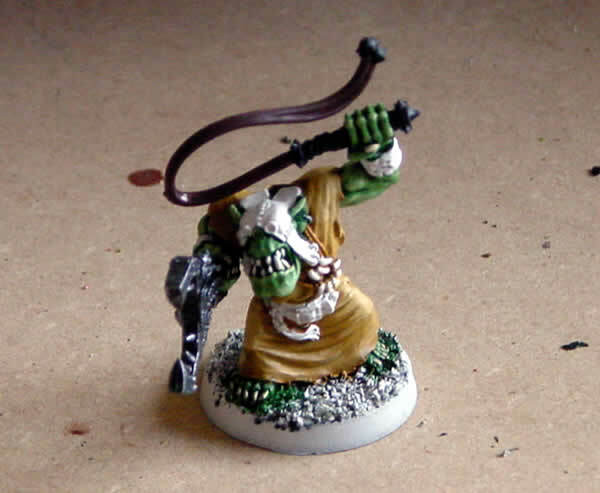 Unlike most of my Ork models, this one was undercoated white! I do all the Ork skin with a dark green, highlight with Goblin Green before doing final highlights with a mixture of Goblin Green and Bleached Bone.